Let’s face it; the most dreadful, unwanted thing to have done at the dentist office is a root canal. A about a year ago one of my teeth cracked and soon broke apart. It started with getting things caught in it all the time, then eventually it started hurting. I knew in my mind that I would eventually need a root canal. I knew for certain I really did not want to face that giant. I started taking Advil and eventually the pain went away. As time went on I enjoyed a pain free tooth until a few days ago. No matter how much Advil I took the pain would not subside. After a day of not being able to eat or drink the decision was made to go to the dentist. It was time to break this cycle of temporary relief that only led to a permanent pain. Often in life we all go through seasons of painful times that we try to fix ourselves. Unfortunately our quick fix is only a temporary band-aid that eventually wears off and soon the pain returns. 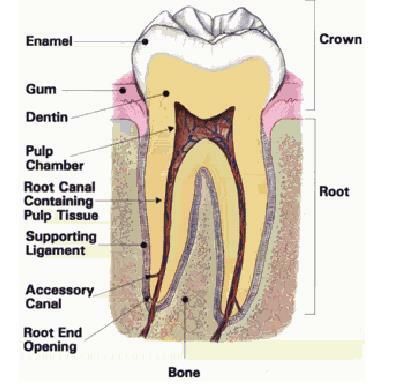 Below you will find 3 things I learned from my root canal that can help each of us in painful times of our life. 1) Don’t ignore the warnings. You can’t ignore the pain. If you do it will only get worse. Don’t ignore the fact that there is something that is hurting you. When you acknowledge the pain it empowers you to do something about it. 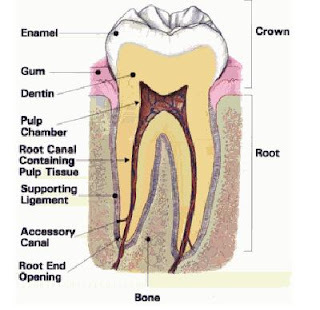 I could have kept ignoring the pain in my tooth and stayed in denial of the fact that I needed a root canal. 2) Temporary relief is only temporary. A quick fix is just that; A quick fix. Did I really want to have to take Advil everyday two and three times a day? Of course not. Medicating the pain is comfort for only a little while. Many people medicate their pain with busyness, relationships, work, alcohol, drugs and other activities that they feel can numb the pain that they are currently experiencing. The only problem is that it doesn’t last. Don’t settle for temporary when permanent relief is available. 3) Getting to the root of the problem results in pain free living. Only after going to the dentist was I able to have the assurance that the pain would no longer be an issue. Sometimes we just need to open up to someone that can help us get to the root cause of the pain and deal with it once and for all. Find someone you can trust, a counselor, Pastor, or a close friend. Dear Lord we pray today that we would stop putting a Band-Aid on our pain and that we would get to the root of the pain. We thank You for always being there. In Jesus' Name, Amen. Just before World War II, Iceland was going through a harsh economic time known as "the Depression". Many were unemployed and in despair. As Iceland is a nation consisting largely of Christians, many were praying to God for relief, but "not my will, but Yours will be done." Then, to make things worse, World War II broke out. As Iceland had no army, they would be prone for an easy invasion by the Germans. The outlook became dimmer and dimmer. On May 10, 1940, six months after World War II was declared, British warships headed for Reykjavik, the capital of Iceland, and Iceland fell under British occupation. It looks like things got even worse, doesn't it? The only problem is, many Icelanders refer to this time period as the "Blessed War". You see, although their country was occupied and many soldiers lost their lives at sea, the presence of the British soldiers, and eventually the American military, revived the Icelandic economy, bringing considerable relief to the impoverished country. But that's not all. Although Iceland had been ruled by the Danish for several centuries, World War II also brought an ironic end to this. With Denmark occupied by the Germans from April 9, 1940 onward, all communication between Iceland and her mother country ceased. 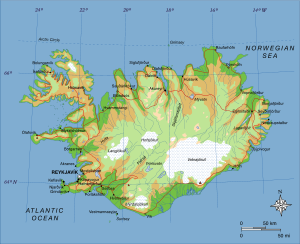 This gave Icelanders the opportunity to hold a referendum, and on June 17, 1944 they became an independent republic. We never know what the future holds for us, but one thing we do know for sure is that our future, as believers in the Almighty God, is guaranteed. We have nothing to fear. If we are going through troubled times and we find ourselves in total despair, we need to realize that this is our opportunity to either trust in God or not. When broken, we can either flourish or perish. It all depends on Who we put our trust in! Letting God lead the way is always our best option, for only then can we truly shine. Trouble may be looming in the horizon, but God is way above any of these circumstances. His glory will be revealed. It's our choice to be part of it or not. Dear Lord we pray today that we would completely trust in You in all circumstances knowing that You are in control. In Jesus’ name, Amen. Bill was a show horse. He was a gaited horse, a beautiful racker. He had five different gaits, or manners in which he lifted his feet, that made him a smooth rider. The rack was his best: a fast, flashy, four-beat gait in which his feet touched the ground separately and at equal intervals. 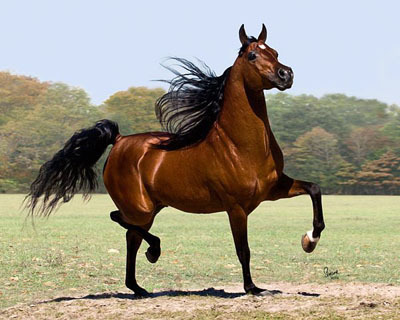 He was a beautiful horse, the best, and loved to show off his strut once he arrived at the shows. But Bill had one flaw: he was spooked out by the loading ramp of the truck. Unknown to his owner, his previous trainer had beaten Bill, and the loading ramp was one of his hang-ups from abuse. He would not trust or obey his owner to walk up the ramp. Instead, he would be so frightened that he would shake, tremble, and quiver until the ramp was removed. Then, taking a giant leap, he would jump into the truck. How much easier loading would have been if only he could have trusted! How many times do we, like Bill, forget that God is in our corner, if only we will turn to Him and trust Him! We find ourselves losing sleep, worrying, fretting, and suffering unfounded anxiety, all because we have not turned to God with our issues. Some who have not yet learned that God is trustworthy may feel that that is a giant leap! But God is trustworthy! His Word guarantees it. How much easier our problems are to bear when we are in partnership with God. The peace of mind that trusting brings is so comforting. Dear Lord we pray that when things seem difficult that we would remember to give our problems to You. In Jesus’ name, Amen. Does Your Faith Swerve or is it Steadfast? 23 Let us hold unswervingly to the hope we profess, for he who promised is faithful. 24 And let us consider how we may spur one another on toward love and good deeds. Helen Roseveare was born in 1925 in Hertfordshire, England. She entered Cambridge University and there she came to Christ. 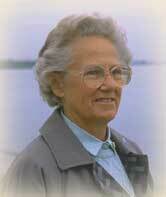 She became a medical doctor and in 1953 she left for the Belgian Congo as a missionary. "I wanted people to be passionately in love with Jesus, so that nothing else counts," she said. She met a sixteen year-old boy soon after she first arrived, John Mangadima. He wanted her to teach him how to be a doctor. Helen agreed and in exchange he taught her Swahili. In 1960, the Congo declared its independence and faced a bitter civil war. In the midst of riots and lawlessness, Helen continued to work. In the following years she was beaten, raped, and arrested in held captive by the rebel Simba soldiers. She was freed some five months later and returned to England. Fearful and horrified, she vowed never to return to the Congo. But after two months at home, she received a letter from John Mangadima. He told her that her work was not finished. By faith, Helen returned and in her last years on the mission field, she established the Evangelical Medical Center, which consisted of a hospital, a training college, and four bush clinics. Our Christian walk will not be easy. But if we hold unswervingly to our hope in Jesus Christ, He will reward us for our faithfulness. Many of us experience rough times? Let’s be thankful that the Lord that will strengthen us, as we remain steadfast in Him. Dear Lord we pray that we would be unswerving in our faith. We pray today that we would hold steadfast to You and through Your strength we would be the person You have designed for us to be. In Jesus’ name, Amen. It would be very hard for anyone to lose his way home in today's society. GPS, maps, tourist information booths… These are all geared to help us find our way around. Even if someone woke up with complete amnesia, his identity could be traced through his fingerprints and he could still find his way home. In spite of this, some people still manage to get lost, some even ending up in Timbuktu, wherever that is. Amazingly, although nature does not have any of these navigational aids, none of nature's creatures ever get lost. Take for example the Chinook salmon. It lives the first two years of its life in the fresh water of the Yukon River. It then migrates to the Bering Sea where it lives for the next four or five years. It is now approaching the end of its life, but it has one last trek to make. It must return to its place of birth, and to do so, it sometimes has to travel more than 2,000 miles up the Yukon River. And all of this without the help of GPS or the AAA! But this is no ordinary trip back into nostalgia. The salmon has a specific purpose for returning home. It is returning to spawn, and then to die. A similar story can be told for the salmon found in Alaska, in British Columbia, or anywhere in the world, for that matter. The salmon will always return to its birthplace to spawn. Sometimes human structures (dams, for example) interfere with the salmon's migratory trek. To remedy this, fish ladders, such as the Whitehorse Rapids Fish way, are built, thus permitting the fish to reach its destination. It is interesting to note that barely 3% of the salmon spawned ever makes it back home. The others succumb to predators or disease. The salmon's faithfulness in returning to its birthplace is a wonderful reminder to us. In our trek through life, we are also going to our Heavenly home. It is easy to get off track, however, for there are many dangers (trials, temptations, addictions, etc.) that can prove fatal to our eternal souls. We need to continuously check and make sure we are on the right path, that we haven't somehow managed to swim down the wrong river! How do we do this? By checking regularly with our "original source" manual and its author: The Word of God and His Holy Spirit. Only the Word of God and His Holy Spirit can point us in the right direction all of the time. Only these guides can prevent us from becoming easy prey. Do you have a fishing rod? Good. Instead of using it to catch migrating Salmon, why not use it to become a fisher of men? Many are lost and in dire need of direction. Dear Lord we pray today that we would faithfully follow You in all that we do. Help us use the Word that You gave us as our guide. Help us to study it and use what we learn to be fishers of men. In Jesus’ name, Amen. 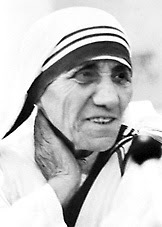 In 1952 Mother Teresa began the work for which the Missionaries of Charity have been known since. Her order received permission from Calcutta officials to use a portion of the abandoned temple to the goddess Kali, the Hindu goddess of death and destruction. Here Mother Teresa founded the Kalighat Home for the Dying. She and her fellow nuns began gathering dying Indians off the streets of Calcutta and brought them to this home to care for them during the days before they died. In 1974, Mark Hatfield was touring Calcutta with Mother Teresa and visited the "House of Dying." He saw sick children were being cared for, and the dispensary, where the poor line up by the hundreds to receive medical attention. Watching Mother Teresa minister to these people, feeding and nursing those left by others to die, Hatfield was overwhelmed by the sheer magnitude of the suffering she and her co-workers face daily. "How can you bear the load without being crushed by it?" he asked. Mother Teresa replied, "My dear Senator, I am not called to be successful, I am called to be faithful." Are you being faithful to what the Lord has called you to do? Dear Lord we thank You for the work You have called us to do. We pray that we would always serve You faithfully. In Jesus’ name, Amen. Will The Commanding Officer Find You doing Your Very Best? His master replied, "Well done, good and faithful servant. You have been faithful with a few things; I will put you in charge of many things. Come and share your master's happiness." I was doing some reading on Faithfulness and came across this story told by a man in Canada. It is a good example of being faithful. His story is as follows. 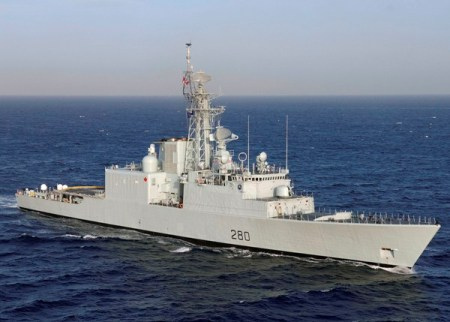 I was stationed at the Canadian Navy base in Scotland, waiting to join a new aircraft carrier destined for the Pacific, when the war came to an end with VJ day. I was scheduled for return to Canada and demob (demobilization), but having recently met a special girl in Glasgow, I volunteered to stay while the base went through the lengthy process of closing down. As a mere Able Seaman (one automatic step up, with the requisite sea time, from Ordinary Seaman), I was given the job of swabbing the deck (the floor) and cleaning the heads (the toilets) on the quarterdeck. This being the nerve centre of the establishment, it was often crawling with high-ranking officers. One day, I was summoned before the Commanding Officer. Not knowing what to expect, but fearing the worst, I snapped to attention before his desk and waited. When he finally looked up from his paperwork, his first question startled me. "You were brought up on a farm, weren't you?" He asked. "No, sir," I admitted. Actually I was brought up in a manse. "Oh." That seemed to confuse him momentarily. "It has been my experience," he said at last, "that only farm boys do the 'joe jobs' as conscientiously and as cheerfully as you have been doing. I have another job for you, if you would like to take it." And that job? Taking the mail between Glasgow and London on the train, with my own compartment, just me and the mail bags, travelling overnight, being relieved of the mail at Euston station, having all day off in London, returning with mail overnight to Glasgow, being relieved of the mail at St. Enoch's station, having all day off in Glasgow, doing this every night but Saturday, being paid extra (for a total of $3.20 per day), having relatives at both ends, seeing battered London this time without fear of the doodle bugs (flying bombs), and most importantly, having time with the special girl in Glasgow. (We recently celebrated our sixtieth anniversary.) I accepted a job with more responsibility but with far greater rewards. Someday, we will be surprised when our Great Commanding Officer reviews how we have performed the "joe jobs", the little things, the necessary but perhaps unpleasant things, that are a part of life. What will be His verdict? Have we done them with grumbling and with as little effort as possible, or with a song in our hearts, doing all to the glory of God? The rewards are beyond our imagining. Are you doing the “Joe Jobs” to the best of your ability? Will you be found faithful? Dear Lord help us to make You such an important part of each day that even the little, unpleasant chores are accepted not as nuisances but as opportunities to know Your presence with us and to praise You in everything we do. In Jesus' name, Amen. Will You Be Called Faithful? This is a great true story I came across and wanted to share it through my blog. I pray that it blesses you as it did me. She was the Vice President of Household Affairs for her entire adult life. She had a husband, four daughters, and one son whom she managed. Her calling was not to the marketplace; it was to the home. It was a calling that she fulfilled well. She often went beyond her job description to fulfill menial tasks like sewing clothes for her twin girls, playing dolls, and even playing catch with the only boy in the clan. Things were going along well until midway in life a telephone call came that changed everything. The caller informed her that the love of her life had been killed in an airplane crash. She was in her early 40's, still beautiful, with five kids to raise on her own in spite of the fact that she hadn't worked in the business place for nearly 20 years. The death of her husband removed their steady upper middle-class income, and she was now faced with the greatest test of her life. At her lowest moment, wondering how she was going to make it, she cried out to God. God answered, "Trust Me, Lillian." Those audible words became the strength that she needed to care for her family for the next 40 years. From that moment on, she came to know her Savior personally and shared Him with her family. Her children came to know Him as well. Grandchildren became the recipient of her prayers, and they came to know Him too. She was building an inheritance in Heaven, one prayer at a time, one soul at a time. She never remarried; Christ became her Husband. Dear Lord, We pray today that we would always cling to You for our guidance. We pray that when it really means something our children would say of us that we were faithful. In Jesus’ name, Amen. In 1988, Wally Magdangal was pastoring an underground church in Riyadh, Saudi Arabia. He was a Filipino lay pastor of Christian foreign workers wishing to gather for worship. In 1992, soon after the conclusion of the Gulf War, the house church had grown to over three hundred worshipers, the largest church in the country. The Saudi government became alarmed at the positive impact the church was having and Wally was arrested. While he was in prison, Wally was tortured, abused, and eventually falsely charged with blaspheming Muhammad and Islam. He was tried before the Saudi Arabian High Court and was sentenced to death by public hanging scheduled to take place on Christmas Day 1992. Throughout his terrible ordeal, Wally refused to renounce his faith in Jesus Christ. Outcries from several foreign governments and agencies, including President Fidel Ramos of the Philippines, Amnesty International, and members of the U.S. Congress were made on behalf of Wally to the Saudi Government. And then just a few hours before his scheduled execution, Wally Magdangal miraculously was granted a reprieve. The Saudi Government decided to deport him to the Philippines instead. Today, Wally is itinerant preacher, sharing how the Lord delivered him from persecution. Being a Christian has never been easy. There are many Christians today who are being persecuted for their faith. Are you regularly praying for those who are persecuted? Dear Lord today we pray for the Christians in the Middle East who are being persecuted. We pray that they may be faithful to You in all they do. In Jesus’ name, Amen. And the truth of the Lord is everlasting. Australian singer and songwriter Darlene Zschech gained international recognition in 1998 for her song "Shout to the Lord," which was nominated for the Dove Award for Song of the Year. In 1999, Darlene received the International Impact of the Year Award from the American Gospel Music Association in Nashville. But Darlene's life wasn't always as together as we see it now. As newlyweds, Mark and Darlene struggled financially. Darlene earned small change singing commercial jingles for Kentucky Fried Chicken, Diet Coke and McDonald's. Mark struggled to keep their motorcycle parts business afloat to support Darlene and their two young children. It was then that Darlene decided to praise God through the struggle. "I learned we'll never find hope looking at our circumstances," she says. "It's only found by fixing our eyes on Jesus who doesn't change and who's always faithful." In 1990, the Zschechs left their home and church in Queensland, and moved to Sydney in New South Wales, where they became a part of the music team at Hills Christian Life Center. From there, the Lord started using Darlene to bring glory to Him. Darlene Zschech commented that praise is "thanking God for things even though they're not there yet," Darlene says. "It's appreciating Jesus not [just] for what He can do, but for being your Savior. And there's power in that." The Lord isn't just faithful some of the time; He is faithful in the past, present and the future. Dear Lord we thank You that You are always faithful and that faithfulness endures forever. In Jesus’ name, Amen. The story applies to all of us. There are those people who leave their umbrellas at home. Throughout their lives, they are merely hoping their wishes and prayers will bear fruit, but they expect little. Others expect their dreams and desires to come to pass. It is as if they journey through life always prepared for something to happen. Today, how will you approach that which you are yearning for? 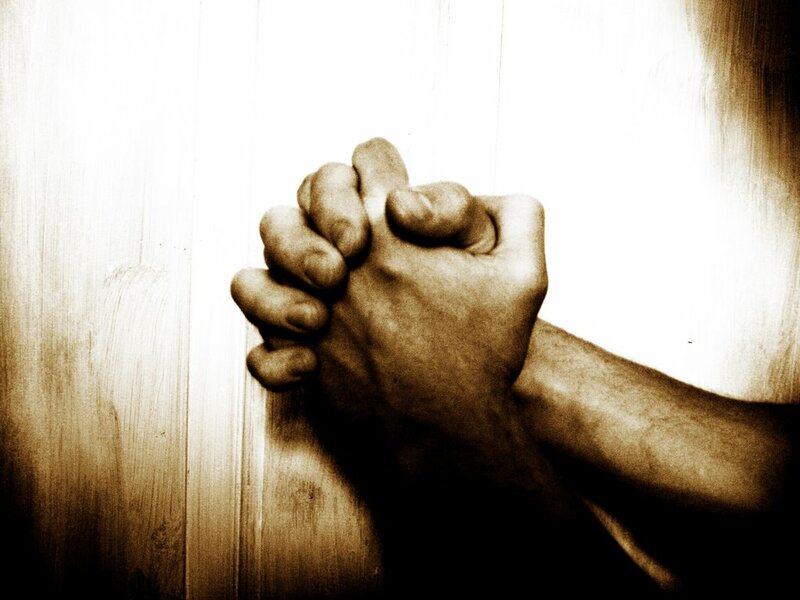 Will you expect your prayers and work to bring about hoped-for results? Will you bring your umbrella? 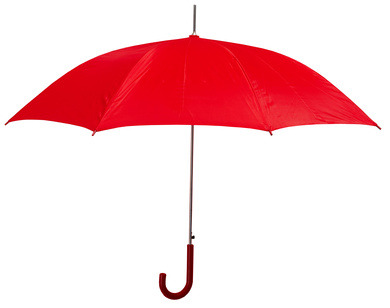 Dear Lord we pray today that when we pray we will bring our umbrella. In Jesus’ name, Amen. Cassie Bernall, "Yes, I Believe"
This poem, written by Cassie Bernall, 16, showed a dramatic change in this teenager. Two years earlie she was involved in the occult, a Nietzsche "nihilistic" group involving witchcraft, death and suicide. Her parents were concerned about her welfare and the friends she was choosing. But Cassie had returned home from a retreat with radiance. She told her parents, "I'm different now and I'm going to prove it to you." She did! Her whole life changed. Happily, she attended youth group meetings, prayer and Bible studies. 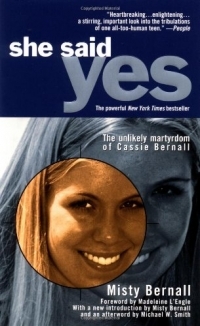 Two teenagers with guns and bombs burst into the library of Columbine High School, in Littleton, Colorado and focused in on Cassie. She sat reading her Bible. It seems they already knew she was a Christian. Holding a gun to her head, one of them asked her, "Do you believe in God?" When she answered, "Yes, I believe," she was murdered. She was only two years old as a Christian the day she died on April 27, 1999. Ironically, just a few weeks before, she had said to her mother, "Mom, it would be all right if I died. You know where I would be. I would be in heaven and you wouldn't have to be sad." Her words were fulfilled too quickly. This terrible tragedy turned out some good as millions watched the memorial service on Sunday afternoon on national television. CNN carried the service live as singers Amy Grant, Phil Driscoll and Michael W. Smith sang and Franklin Graham did the eulogy asking for replacement recruits. As a martyr, her last words she answered calmly were, "Yes, I believe in God." Cassie found that joining the cause of Christ is more than just attending a church picnic or a pleasant evening hayride. It takes guts to say, "I believe in Jesus. He is my Lord." It is necessary to find replacement recruits for martyrs like Cassie and her friends. Are you willing to take up your cross and follow Jesus? It does take courage and commitment; ridicule may follow but God does give a sense of peace, purpose and propensity when we join Him. Dear Lord we pray that when given the choice we will not deny You. We pray that our faith in You would be strong enough to stand firm even when facing death. In Jesus’ name, Amen. Will You Sway with the Lord? Many years ago a man was to walk a wire across Niagara Falls with another man on his shoulders. After weeks of preliminary practice, as the final moment for the event drew near, the rope walker cautioned his young colleague in words like these: "We are about to risk our lives. I am to walk the wire. The whole responsibility is mine. You have nothing to do but match my movements. If I sway to the left, let yourself sway with me. If I sway to the right, do the same. Under no circumstances try to save yourself, for there must be only one will in this adventure, and that will is mine. You must submerge yours to ensure harmony, for without perfect unison we are both lost. There is only one thing for you to do - sway with me." As they drew near the opposite side, the unexpected happened. The long vibration of the wire broke in the center into two waves, and each of these broke again into two, and so on, in accordance with the law of vibration, until the shortened wavelike movements became so violent that the man could scarcely keep his feet where he placed them. It was a perilous moment, but the feat was accomplished, and the spectacular escapade was a success, holding a place on the first page of the newspapers. After this, the young man who had played a secondary part settled down to private life, married, became an active leader in Christian endeavor and an elder in a certain church. And he used to say: "I learned more religion on the wire that day than in all my life. I learned that the only sane and safe way to live is to sway with God." Dear Lord Help us to sway with You today. We thank You that You are there to carry us through all things. In Jesus’ name, Amen. Gold Rush and Eternal Life. August 1896 would change the Yukon forever. On Bonanza Creek, a small branch of the Klondike River, three prospectors stumbled on what would be the largest concentration of gold ever discovered. Soon all prospectors in the Yukon swarmed like bees to the Klondike region. Winter set in quickly however, and the rest of the world would not hear about this discovery until the next summer. On July 17, 1897, the SS Portland arrived in Seattle with its cargo from the Yukon, spurring thousands of people to swarm to the Klondike. The very next day a steamer called Al-Ki left for the Klondike region, filled with stampeders and 350 tons of supplies!). 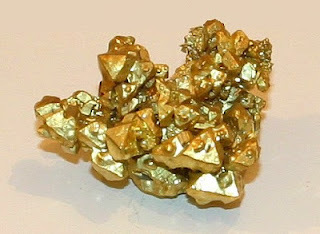 It was the official beginning of the gold rush. Many of these "hopefuls" were tired of the economic depression that riddled the United States at that time, and they left their homes in droves to seek wealth and adventure, fame and fortune. Around the Seattle area, business owners had difficulties keeping their employees. Many quit their jobs with the hope of amassing fortunes in the gold fields. This included the Seattle District of the U.S. Army Corps of Engineers as well as the Tacoma Fire Department. Even the mayor of Seattle, W.D. Wood, joined the ranks of the prospective gold diggers. Just imagine a big city without its mayor! And what about school kids coming to school to find that there is only a caretaker to greet them at the door! I can almost hear their shouts of joy: "Yes! We are finally rid of Mr. C!" There were approximately 100,000 people who embarked for the Yukon. Of these, only 40,000 actually reached the Klondike region, as the long road was treacherous, and many either became discouraged and turned back, or died along the trail. Of the 40,000 who made it, only 20,000 actually were able to work claims, and only 300 made more than $15,000 (around $340,000 in 2007). Finally, of these 300, only 50 were able to keep their wealth for any length of time! In all realty, only 0.3% of the original prospectors ever struck a sizeable amount of gold, and only 0.05% kept their fortune! When news seems too good to be true, beware! There is usually a catch somewhere. So many of us, even today, want to believe what seems too good to be true. Emails that promise a fortune are luring people by the thousands. People are often finding themselves duped and losing money as a result. What does Paul say about this? "Such people are not serving our Lord Christ, but their own appetites. Many people pay unbelievable amounts of money to extend their lives on this planet. They don't realize that eternity could be theirs for free, if only they would believe! The greatest guaranteed news in History is perceived as being less exciting than possibly making a fortune in gold! There were very few who hit the promised jackpot in the Klondike, but everyone who believes in Jesus will live for eternity, free of charge! Dear Lord we thank You for the free gift that You have for each one of us. We pray that today we would share the free gift with everyone we come into contact with. In Jesus’ name, Amen. The provinces of New Brunwick and Nova Scotia have one thing in common: they share the highest tides on our planet. Imagine 100 billion tons of seawater flowing in and out of the Bay of Fundy daily, or, to put it in terms more easy to understand, 338 983 050 847 457 ten-ounce-glasses of water. I doubt we could drink that much in a life time! To tell you the truth, that amount of water is higher than all of our planet's freshwater combined! The Bay of Fundy not only experiences a 50 foot (15 metres) tidal range, which is 5 times higher than the usual tides on the Atlantic coast, but in some parts of its Bay, the tide retreats as much as 3 miles (5 kms). And these high tides and low tides happen, on average, every six hours and 13 minutes. Scientists have found an explanation for this phenomenon. These high tides are especially due to resonance and to the shape of the bay. The water in this Bay has a natural resonance, or rocking motion, which they call seiche. It's kind of like when we get into the bathtub, and the water sloshes from side to side for a few seconds. In the Bay of Fundy however, it takes about 13 hours for the water to "slosh" from the mouth of the bay to its head and back again. In essence, the Bay of Fundy is like an enormous bathtub, with the ocean tides invading the bay every 12 hours and 25 minutes reinforcing this resonance! The bay's unique shape contributes to the high tides as well. As the bay becomes narrower and shallower, toward the upper bay (From 426 feet or 130 m to 131 feet or 40 meters to be exact. ), the saltwater is forced even higher onto the shores. For many centuries people didn't understand the kind of power contained by the Bay of Fundy, and even less how to apply such a force in their daily life. After all, how could having the world's highest tides impact local lives for the better? In 1984 the first tidal power station emerged in North America on the shores of the Bay of Fundy, in Annapolis, Nova Scotia, and since then, all over the world such tidal power stations are being built. Why? Because they are one of the most reliable natural resources! As long as we have a moon and a sun, they will generate electricity! But just as the power in the Bay of Fundy is useless unless we harness it, we too have to become familiar with the power God has provided us with. 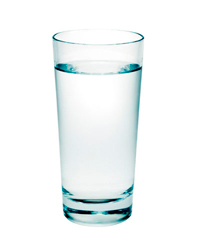 The next time you drink a glass of water, remember: God has given you power through His Holy Spirit. He is the living water who will set you free! Dear Lord we thank You for sending the Holy Spirit to empower each of us. We pray today that we would tap into that power. In Jesus’ name, Amen. Are You Sure in Your Faith? On June 18, 1999 Gary and Gloria Sloan, Southern Baptist missionaries, who had been on the field of Mexico for only six months, were enjoying a birthday celebration for their daughter, Carla, at a popular swimming spot on Mexico's Pacific coast. With them were two other young missionaries from the United States, Joy Murphy and John Weems. Due to a strong undertow, Carla began to be pulled out to sea. Gary, Joy and John rushed to save eleven-year-old Carla, but they were overcome and drowned, as did she. When Carla's body was brought to shore, Gloria doubled over in agony, unable to breathe. But it was then that she felt the physical presence of Jesus. Gloria said, "I felt such a strength and power and control. I looked down at my daughter, and I had such a peace" A large group of people gathered to watch this unfolding tragedy. And before long, four bodies lay in the sand. But what happened next is truly amazing. Gloria stood over the bodies of her dead loved ones and gave witness to the saving power of Christ. She told the people, "The pain I felt because of the loss of my husband and daughter was not as much pain as I felt for the true lostness of those standing around me". Gloria Sloan then told the people that her daughter and husband were standing in the presence of God. And then she said, "What if you were the ones laying here? Would you know you would be in God's presence". Gloria's husband and daughter were buried in Mexico. After their funerals, she went home to Texas to heal. And believe it or not, after almost six months, Gloria packed up her remaining three children and went back to Mexico to finish the work that she and her husband had begun. The Lord wants you to be sure of the things that He has promised. Dear Lord we thank You for Your Word help us put our complete faith in You in all situations. In Jesus’ name, Amen. No Matter How Tiny, It's Still Sin. Volcanic ash is so tiny that a single piece would be hard to perceive with the naked eye, even if it came floating right past you. 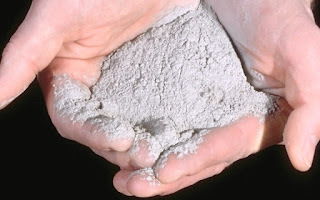 Volcanic ash is really volcanic rock that has been exploded through a volcano vent, but each one of these particles is no larger than 2 mm (0.1inch). How could such a tiny, inconspicuous "thing" ever hurt anyone? They truly do have a bite to them, however (if you ever ate one, it would be far from pleasant!). The best way to describe them is that they are like sharp glass shards (Bon appétit! ), damaging anything that they touch. Cars in Iceland, for example, are pitted by these tiny specks. And these minute particles can even bring down something as big as a passenger jet. No wonder that in April 2010, flights were cancelled all over most of the European countries when one of the largest volcanoes in Iceland, Eyjafjallajokull, exploded. These tiny particles were deadly to both planes and their passengers. Ferries and taxis were suddenly in high demand, as British citizens stranded on the continent desperately wished to return home. Thanks to the tunnel under the English Channel, extending from Calais in France, to Dover in England, taxis were engaged day and night driving their stranded passengers back home at prices that none of us would even like to imagine. And all of this because of tiny 2mm particles! Just as the little particles are deadly to the things around them our sins we commit each day are deadly. Our sins separated us from God and we must go to the Lord and ask forgiveness. Dear Lord we thank You for dying on the cross so that our sins might be forgiven. In Jesus’ name, Amen. 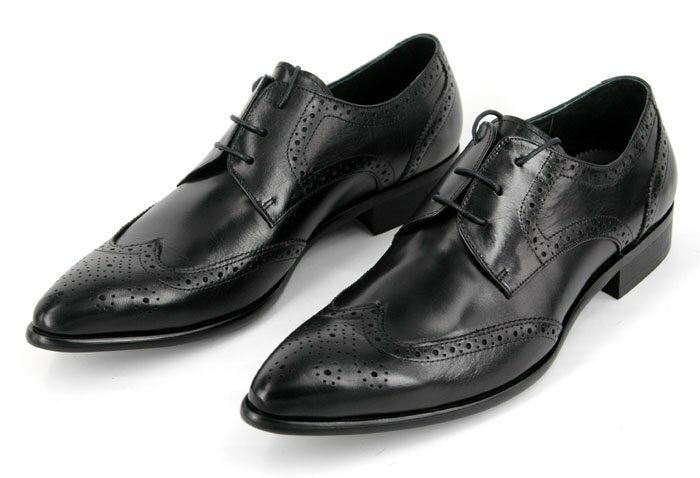 A preacher had been told by the head of a great shoe factory, that if he found any poor people who needed shoes, he could come to him and get them. In making his rounds one day soon afterward, the minister invited a man to attend his church. “But I wouldn't like to go without my wife,” returned the man, “and her shoes are no better than mine.” The preacher promised to get the shoes for her, too. “It would hardly be right to leave our three children at home, and they are all barefooted, too,” said the man in a hesitating way. Of course the preacher felt very small when he thought of how little he had expected from his generous friend, in proportion to what he was willing to give. Dear Lord we pray today that we would not have a little faith but that we would have a great faith knowing that You give to us generously. In Jesus’ name, Amen. Would You Say "Grace" With No Food On The Table? Arch Heffron was destined to become one of the great educators of the Adventist Church in Australia. But on this day during the Great Depression, that destiny was far in the future. Times were tough. So tough that the food had run out. Not nearly run out -- it had completely run out. There was nothing for the man, his wife, and his children to eat. Absolutely nothing. "I have never seen the righteous forsaken, nor their children begging bread." But on this day in the 1930s, it seemed as if that promise was about to fail. Where would the food come from? What could they do? There was nothing else for young Arch Heffron to do except gather his wife and children to the meal table. "Let's bow our heads for grace," he said. Grace! With no food in the house -- not a single crumb in the house! But the family obeyed. They bowed their heads, closed their eyes, and the father prayed. Then it happened. While the family was saying grace at the empty meal table, there was a knock at the front door. Arch went to the door. "We had a party at our place last night," said a neighbour. "We have food left over. Could you use some?" What incredible faith! Thanking God for food when there was no food. Think about it. Others may have been cursing God by this stage. Arch and his family were praising God by saying grace around an empty meal table. There really was no need for young Arch's family to worry. They did not need food until the instant they were about to eat it. And at that instant, God provided. Dear Lord we pray that our faith in You will be strong enough that we would say grace even if there was no food on the table. In Jesus’ name, Amen. Highway 1, also known as the "Ring Road", is the only two-lane highway that encircles Iceland. In most places it is built quite a bit higher than its surroundings, probably to avoid flash flooding. It is, over all, a good road, however one of the primary dangers, other than possibly hitting sheep who amble freely over the road, is what is called a "rollover". Due to the fact that the road is raised over much of the island, if one wheel leaves the road, there's a good chance that the car will roll down the embankment and be totaled. Or so it was stated on a display near Reykjavik, the capital, at the site of two former rollovers. If you focus on the road, there is absolutely no danger of rollovers. 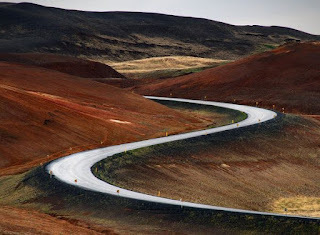 If fatigue settles in, however, or some distraction or another captures your attention (like the many sheep crossing the road, or the glaciers or volcanoes or lava fields or waterfalls or geysers, to name a few! ), you may be in for a "rolling" surprise! Friends, these rollovers are real, and they happen too often to be ignored! Such "rollovers" are even more frequent in our spiritual life. Instead of staying focused, it seems our attention has a tendency to stray. In a hectic world filled with stress and distractions, how could it be otherwise? Tell that to the poor chap who totaled his car. It won't make him feel any better! Have you noticed that every time you had a spiritual car wreck, your focus was not where it should have been? Maybe this is why Jesus urges us to spend time with God in a place without distractions. Our focus can only be on God. Only then can we "begin to sense his grace." More often than not, the reason why we may not sense God's presence is because our focus has strayed! If we want to experience fully our loving God, we need to fix our focus. Too often we look at anything but what is truly important: "Keep your eyes on Jesus, who both began and finished this race we're in. Dear Lord we pray that we would keep our eyes focused on You. In everything we do today help us do it for You and not ourselves. In Jesus’ name, Amen. Business and Faith like a Mustard Seed. Footbridge, Where is Your Faith? Mustard Seed or Tomato Seeds? He Has Left a Light on For You. God Provides a Way Out. Hurricane Season is Like Christmas?